We try to give every artist a sound that they feel proud to call their own, and still manage to remain transparent and true to the heart of the song and the atmosphere created by it. With every song, our goal is to make it create a universe of it's own, having the listener to feel immersed in it, keeping the artist vision and also offering our knowledge and skills to bring out what's best for the song, be it rock, pop or any genre. We truly give our best and pay great attention to detail on every project. Fortunately enough clients always love the energy we put in our mixes and how it reflects what the song needed. Suno Records guarantees pleasant work. Their mixes sound right and they are always nice and easygoing. Highly recommendable! Consistently, mixes coming from Suno Records are in great shape and what is even better, they work very hard to improve every little detail. Always a great experience, and looking forward to repeat it! Working with Suno Records is a fantastic experience, Alan is a complete professional and always delivers great sounding tracks! Working for Suno Records was extremely pleasant. First we went through an entire revision of their mixes and the new versions were always better than the previous ones, so I could work very easily with the songs and get the audio we were looking for. Thanks for the kind treatment (to me and to your songs!). Alan desde Santiago de Chile quiero decirte que eres seco! Lo que significa: El Mejor. Gran calidad tiene tu trabajo, que además haces con cariño y eso se siente y se agradece. Encontraste un muy buen sonido para "Somos Más", estoy re orgullosa de este trabajo y espero más adelante seguir compartiendo con gente como tu! Bendiciones y mil gracias! El profesionalismo de Alan Garcia lleva las grabaciones a otro nivel, sin duda trabajar con el es una gran experiencia, se adentra al proyecto 100%, infunde confianza haciendo que las sesiones se hagan muy amenas, instalaciones muy cómodas con el mejor equipo, el trato es increíble desde la primer visita y el resultado impresionante. Trabajar con Alan García en Suno Records ha sido una gran experiencia! Desde la comodidad de las instalaciones, la tecnología y la profesionalidad de Alan como ingeniero, así como la dedicación que pone en tu proyecto haciéndolo suyo también. Excelente opción para grabar, mezclar o masterizar 100% recomendable. I've worked with Alan a couple of times, he is a great Engineer and a great person who always achieves a great sound. The only difference between the first and the last time I worked with him is the studio, Suno is one of the greatest options in Mexico City, great sounding studio with great working environment with the Alan quality certified! No cambiaría el sonido de Suno Records por nada. Alan Garcia es el mejor ingeniero de audio con el que he trabajado, tiene un gran conocimiento tanto del Audio como Musical, lo que me facilito muchísimo la comunicación con el. El equipo que tienen es de primera, y si a eso le sumas el talento de Alan, el resultado es simplemente excelente. Working with Alan at Suno Records is one hell of a good choice. The studio and equipment are great and Alan has an amazing talent as a mixer and engineer. For those looking for a recording place or someone to do a mixing or mastering of any project I can assure you that If you work with Alan you'll definitely want to come back. I sure do. A great recording experience at Suno Records with Alan! The studio space is fantastic, his gear is top of the line, and Alan is professional, efficient, and produces great sounds. 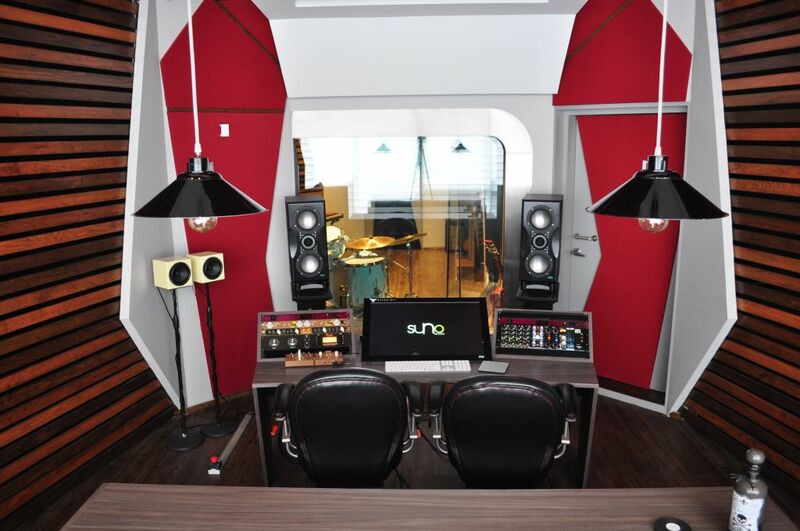 If you are thinking of recording in Mexico City (or need someone to mix / track remotely) Suno is an excellent option. My highest recommendation. A: Hybrid, why choose one? A: We do what we love and get paid for it. 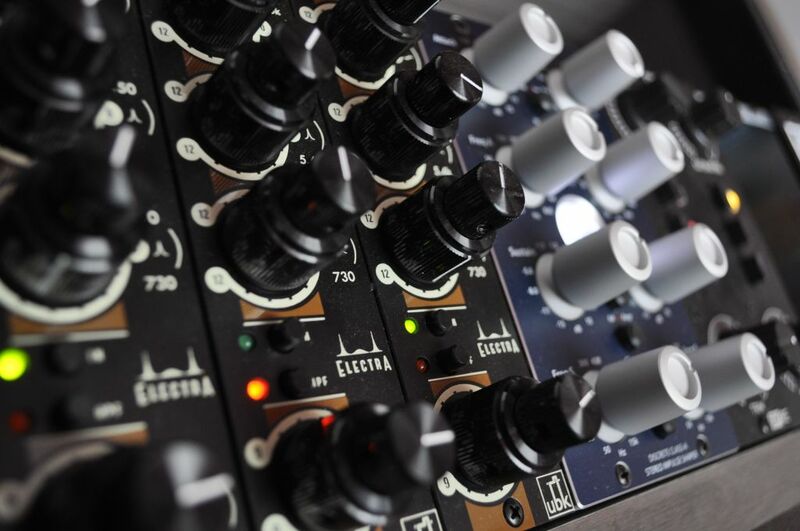 A: Most of the work we do is mixing and mastering, although we can do tracking sessions as well. Revisions included, typical turn-around time is 3 days per song.